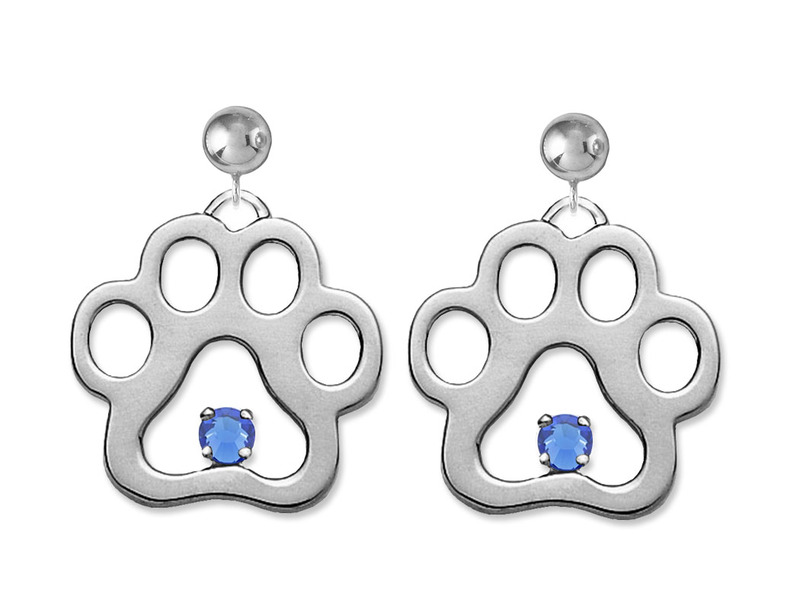 Small dangling sterling silver charm size Puppy Paws® earrings w/2.5mm round Swarovski crystals. They are approximately 1/2" x 1/2" image and are available on posts, french wires, or clip-ons. The image has been enlarged to show detail.